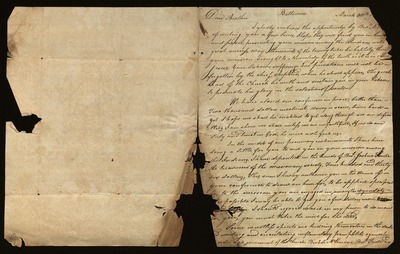 Your honor sits high, on the Seat of Justice, like the American Eagle, perched on the Asiatic rocks of Gibralter, while the Streams of Justice, like the cadackric clods of the valley, roll meandering past your democratic feet. 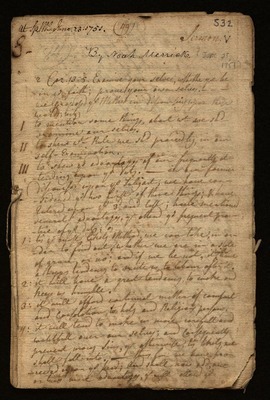 Therefore I call upon you to exaggerate yourselves, exaggerate yourselves I say; and support the insufficiency of the oracle of Jackson. 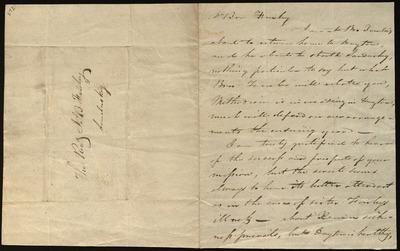 While Buonaparte are marching his army from Elbe to Paris, and from Paris to Elbe, I stand here before you as a notorious advocate of this Jacksonian administration. 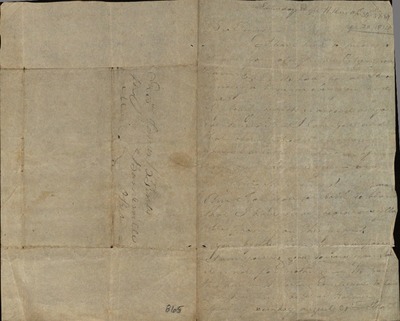 The cattle may feed upon the mountains below, and the sheep may graze upon the valleys above, but General Andrew Jackson are no more guilty of vetoing the exonorous excommunicatiosness, of the velonlousness of the United States Bank, than a toad, are got a tail. 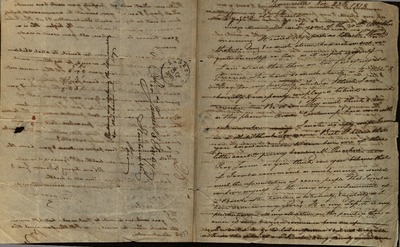 No siree! 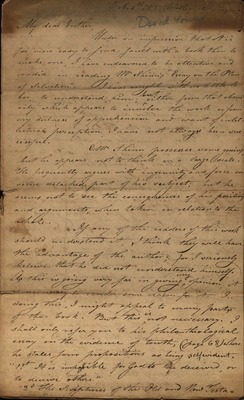 It was the circumlocution of the Henry Clay party. 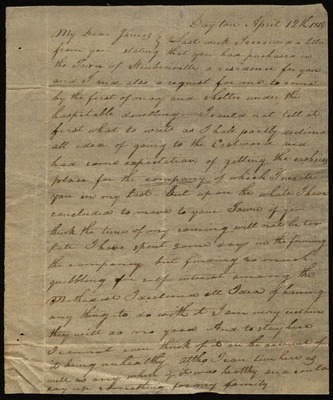 And when General Jackson had spificated the confidence of Congress, he rose high in his Supercilious Majesty, and crushed the growing powers of these illusible States. 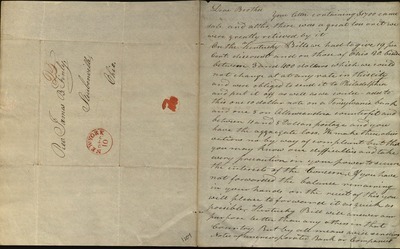 Gentlemen, I consider this adequate to the circumference of Jacksonism. 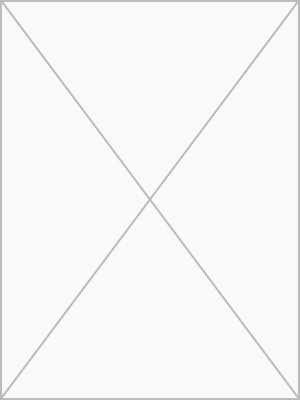 And I now previse you to exaggerate yourselves. 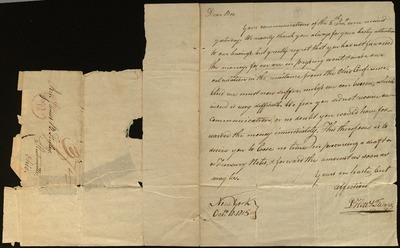 I sit down with pathos. 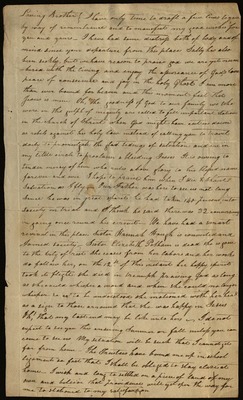 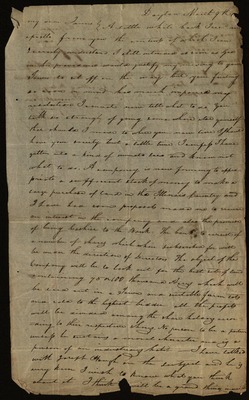 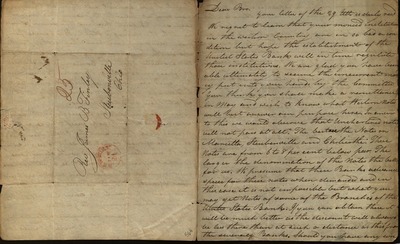 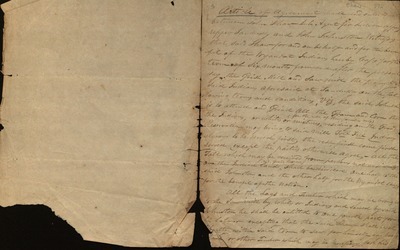 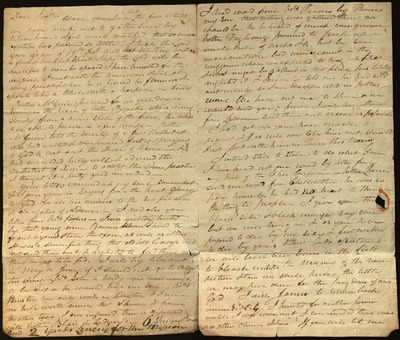 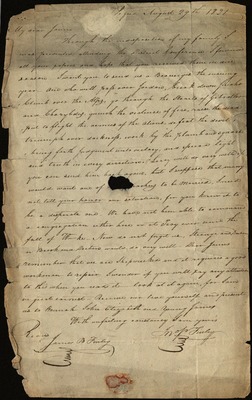 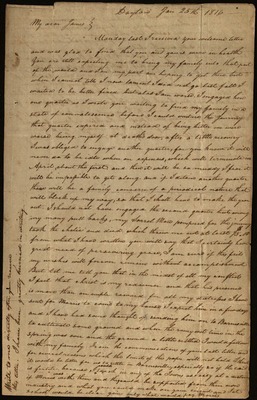 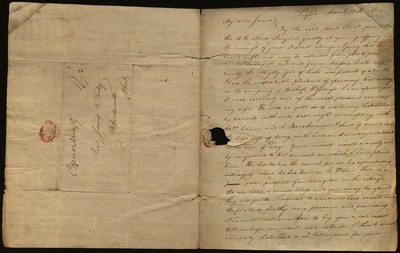 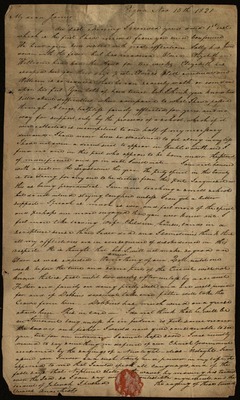 The speech as given above is said to have been spoken by a learned sucker in 1834. 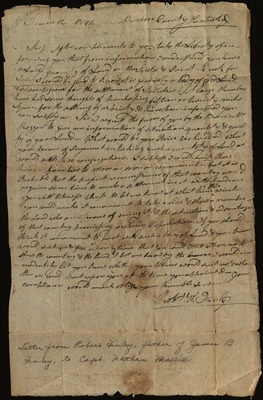 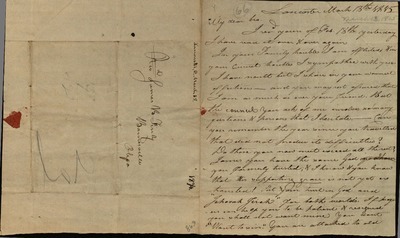 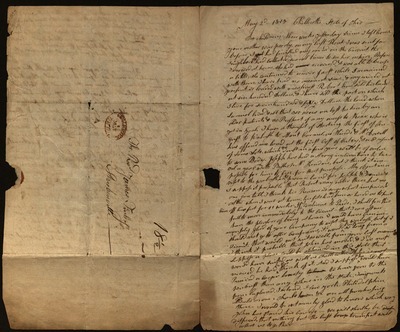 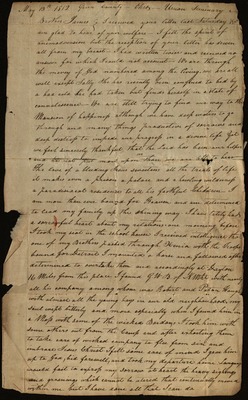 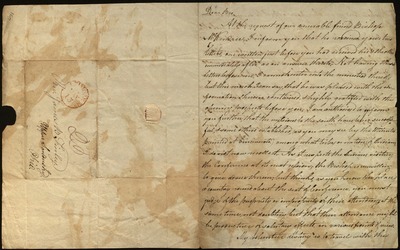 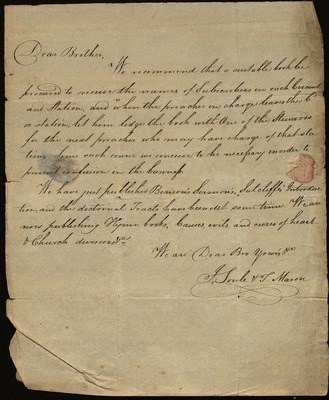 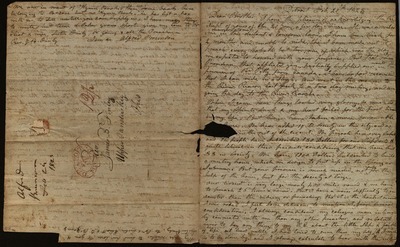 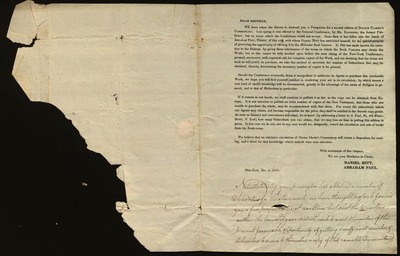 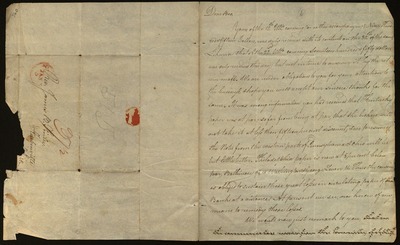 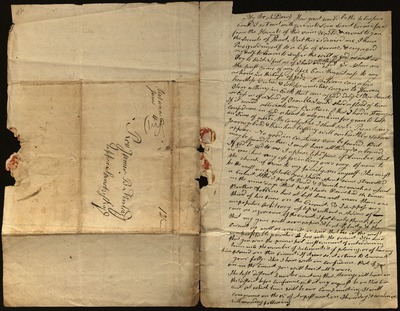 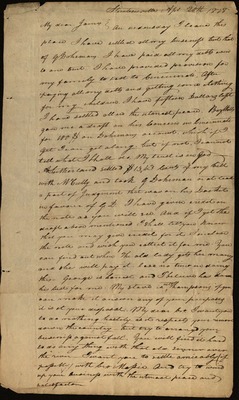 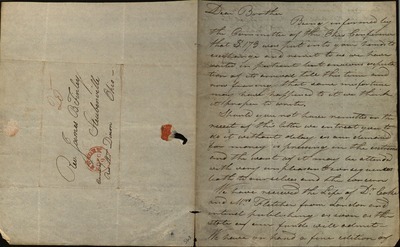 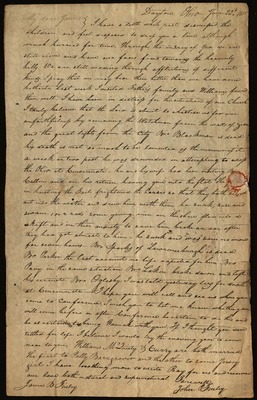 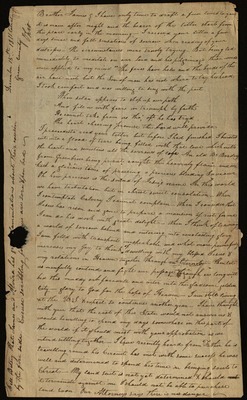 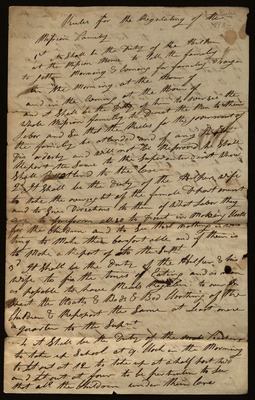 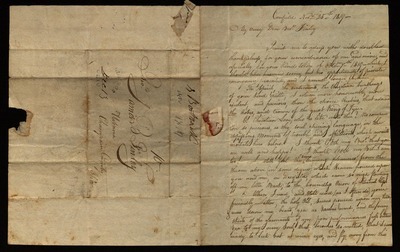 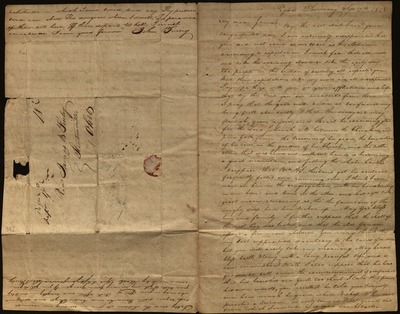 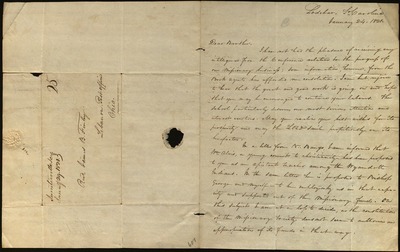 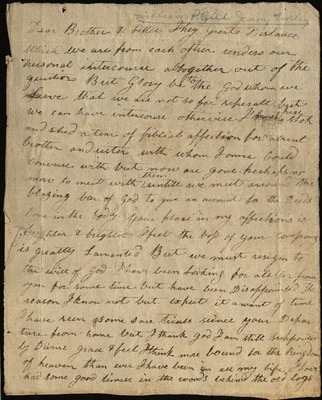 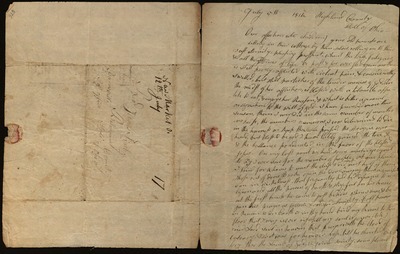 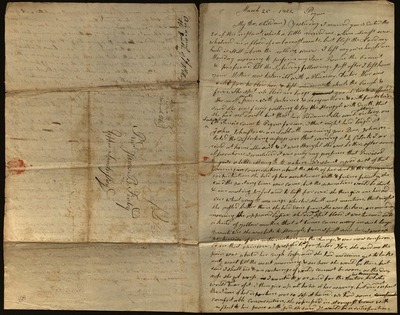 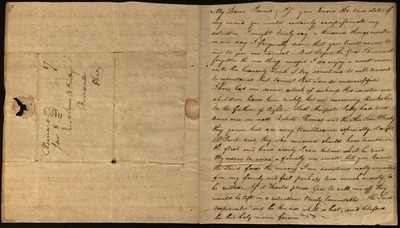 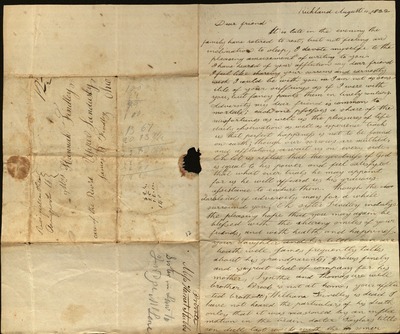 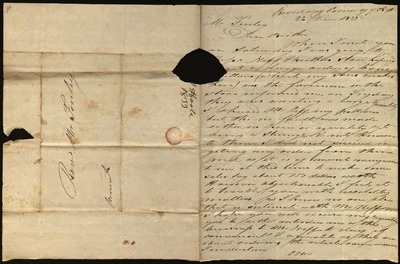 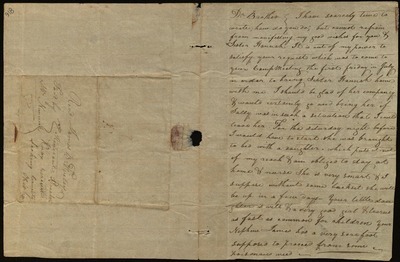 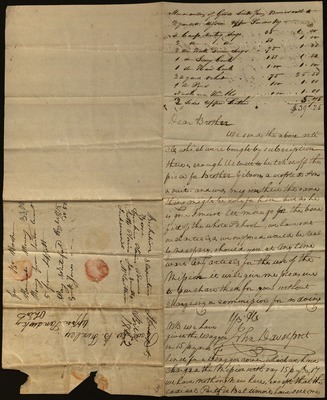 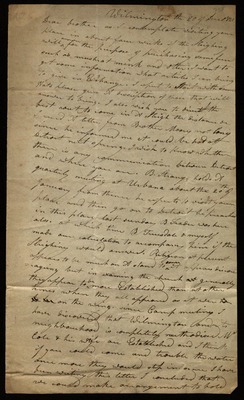 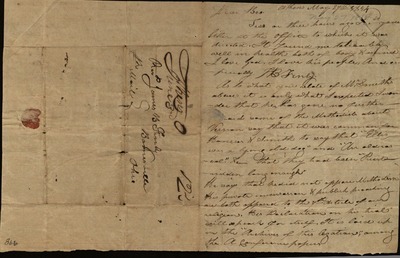 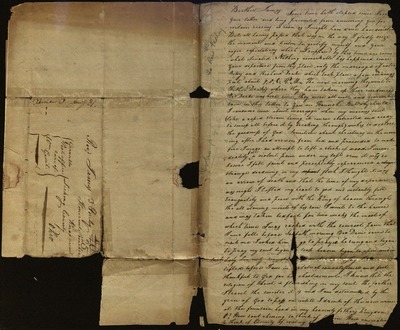 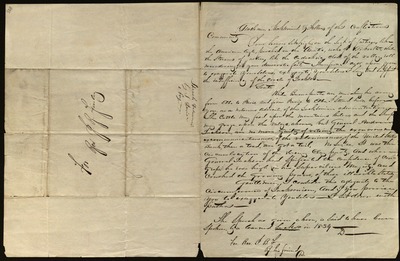 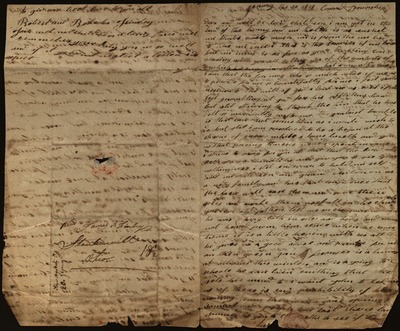 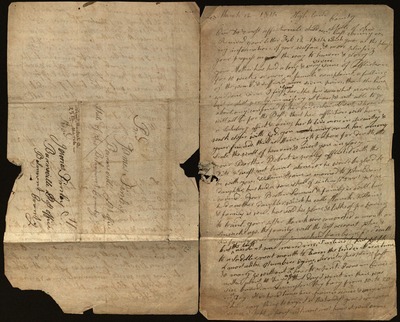 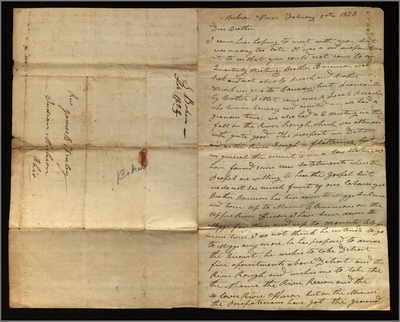 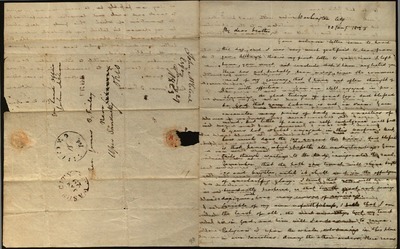 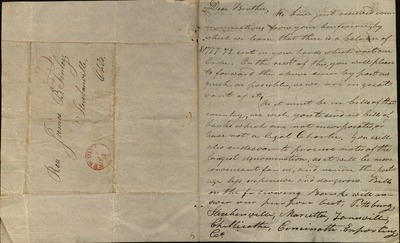 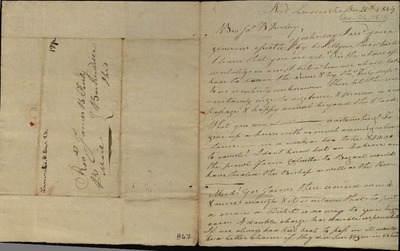 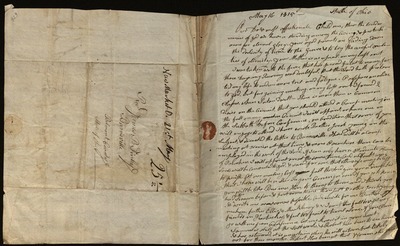 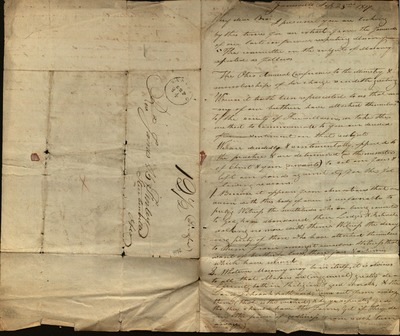 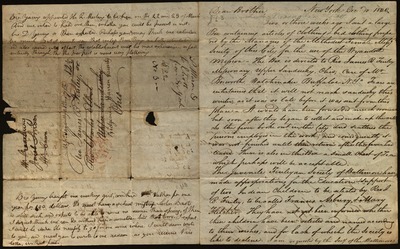 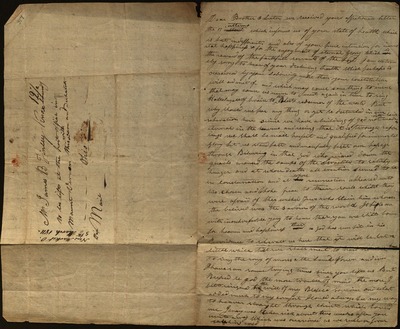 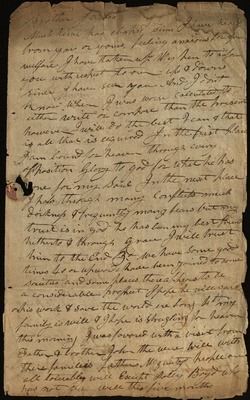 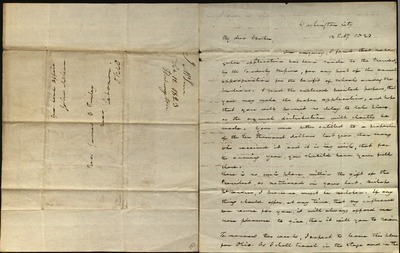 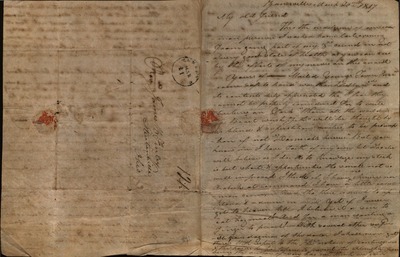 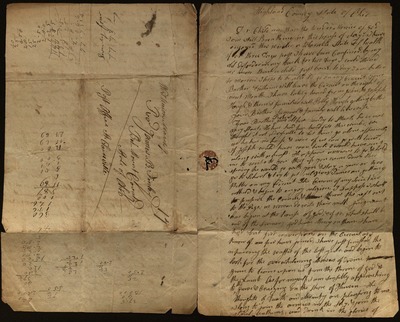 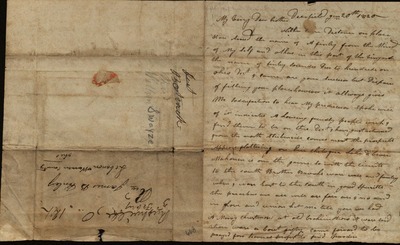 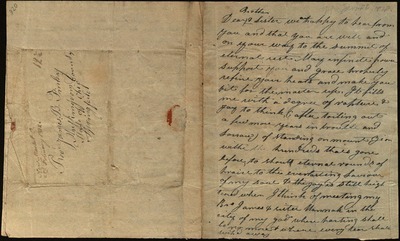 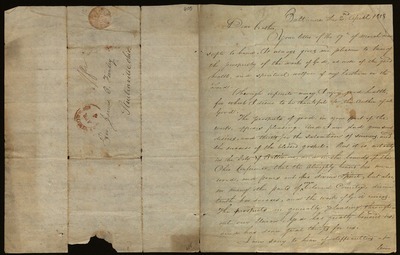 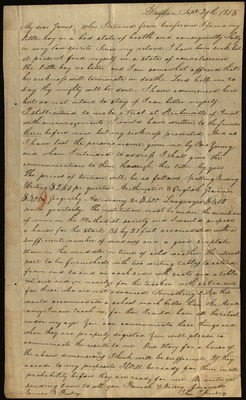 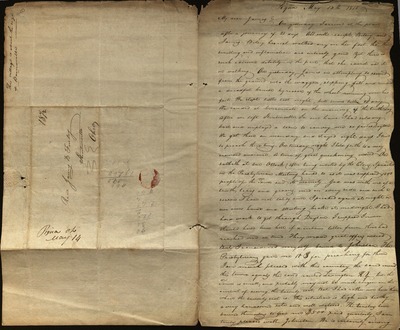 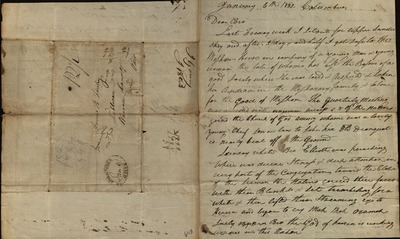 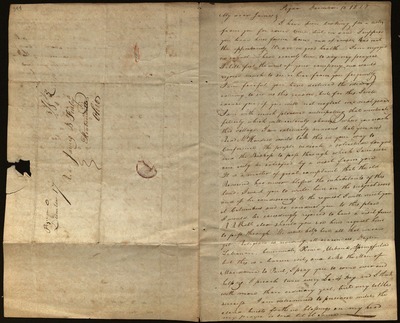 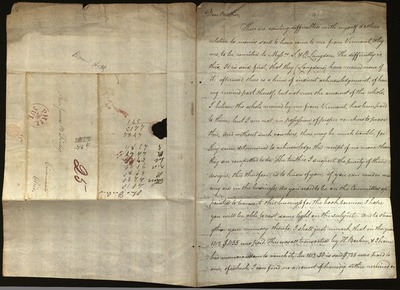 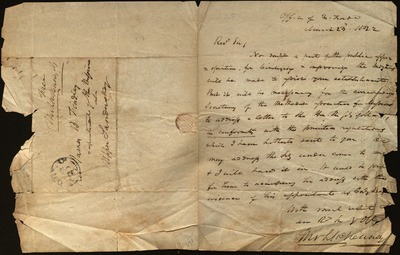 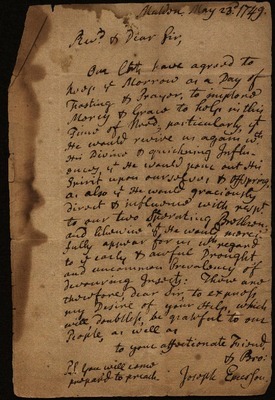 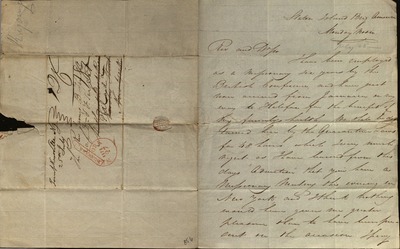 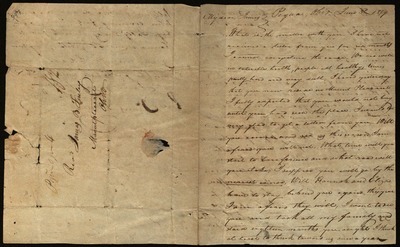 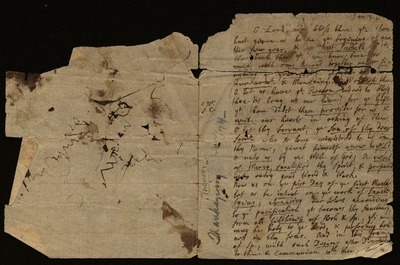 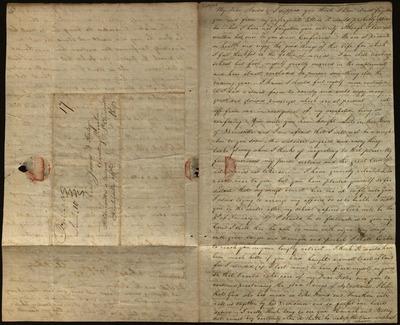 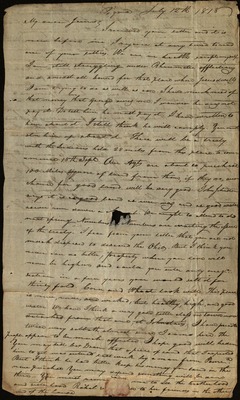 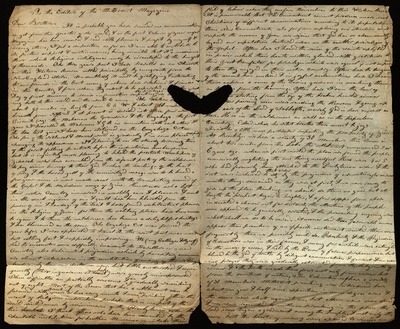 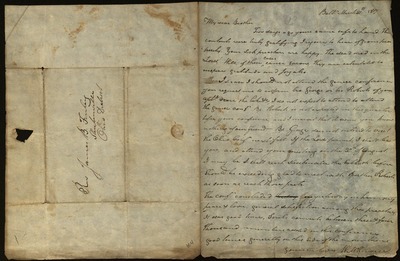 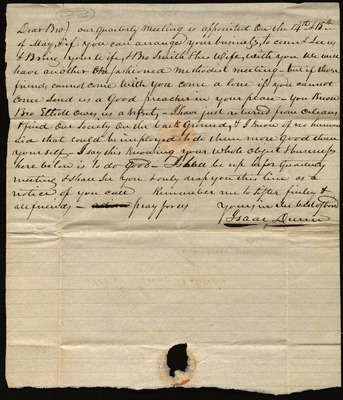 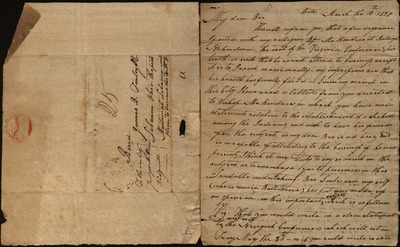 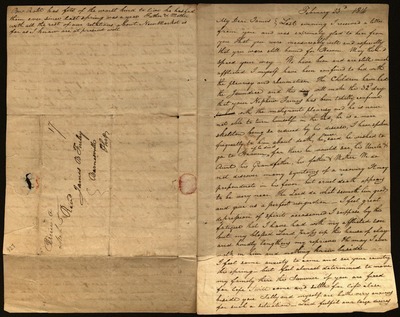 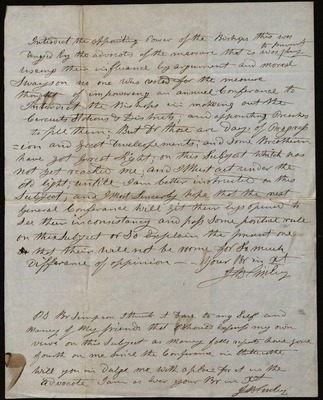 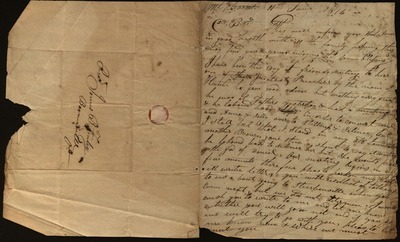 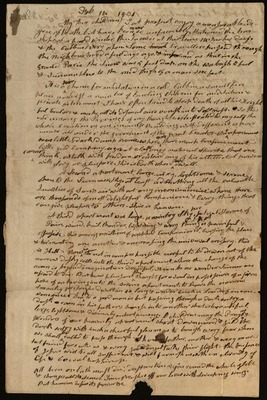 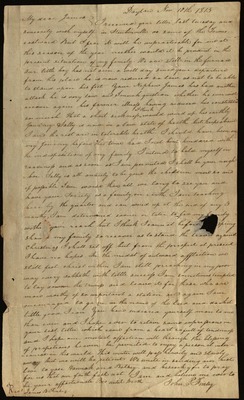 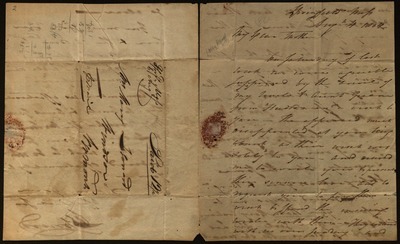 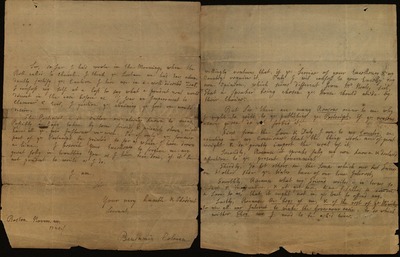 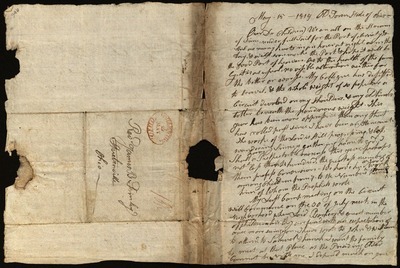 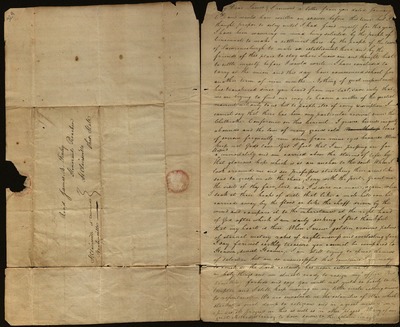 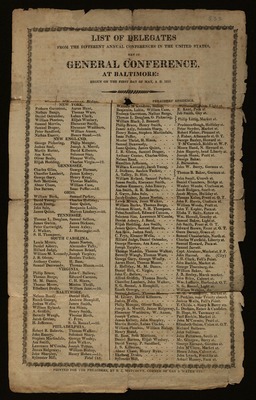 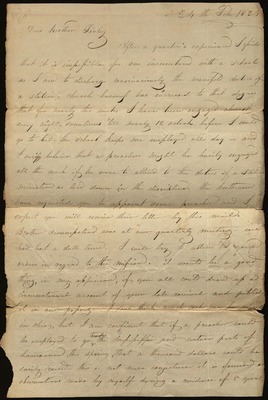 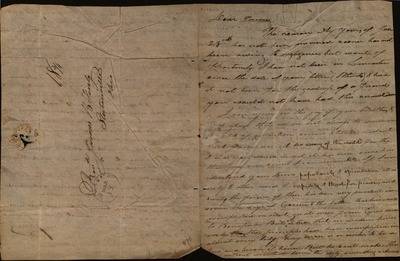 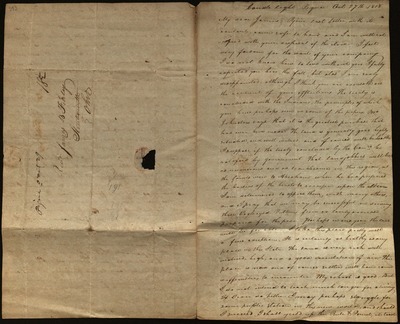 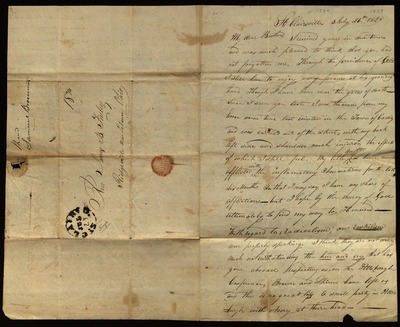 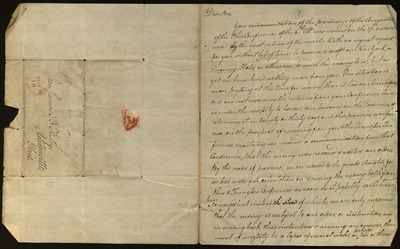 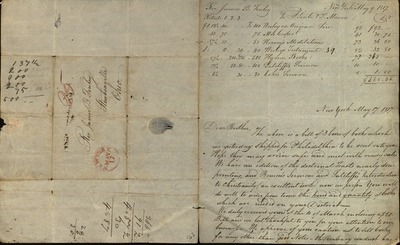 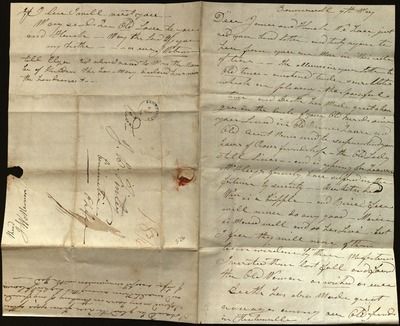 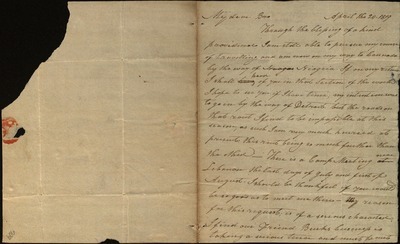 For J.B.F., by his friend D.
Note on back: Speech delivered by S. Davis, a boy"
Letter from Benjamin Colman to Samuel Shute, Esq.